It seems God of War director Cory Barlog would love to watch Netflix’s adventures of Kratos and Boy. The latest God of War game was a masterpiece by just about any metric – not just in terms of gameplay, but storytelling as well. 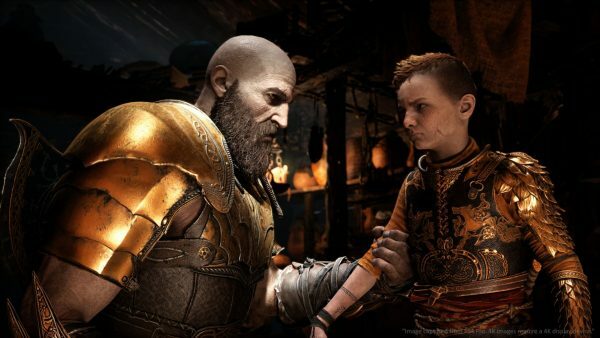 So it’s no surprise that rumors are circulating about a Netflix series that could adapt or build on Kratos and Atreus’ adventures. The bad news is game director Cory Barlog shut down these rumors, stating that a TV series isn’t happening. The good news is he’s open to the idea. Netflix is working on series for Castlevania and The Witcher, along with a streamable version of Minecraft: Story Mode. If those projects go well, perhaps Sony will partner with Netflix for brand-new God of War adventures.